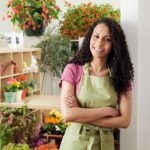 If you’re starting your own business, you might want to apply for an employer identification number (EIN). A few weeks ago, I did just that, and I thought I’d run through the process here for all to see. In many cases (such as most sole proprietorships) you don’t need one. That being said, you still might want one — e.g., for privacy reasons, you might not want to disclose your social security number (SSN) when you can otherwise use an EIN. (1) Do you have any employees? (2) Do you operate your business as a corporation or a partnership? (3) Do you file any of these tax returns: Employment, Excise, or Alcohol, Tobacco and Firearms? (4) Do you withhold taxes on income, other than wages, paid to a non-resident alien? (5) Do you have a Keogh plan? (6) Are you involved with any of the following types of organizations? If you end up deciding that you want (or need) to apply for an EIN, you have a variety of options… You can apply via phone, fax, mail, or online. In my case, I decided to handle it over the phone. In short, this involves calling the IRS at 800-829-4933 and working through Form SS-4 with a phone rep. If you choose to do it this way, I highly recommend having the form in front of you, as this will save the rep from having to read everything to you over the phone. Once your application is complete, they’ll give you your EIN over the phone. The official paperwork will then follow within a couple of weeks. Easy peesy. FCN, Why are you applying for an EIN? Which questions did you answer yes to? Finally, are you running this blog as a sole proprietorship? So I could get one as a sole proprietor? 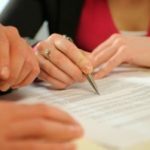 Would I then need a different one if I converted to an LLC, or would it transfer over? Cool. That didn’t used to be an option…when I got mine, I had to file by mail and wait.